After a wet night on Pen y Fan wild camping, we ventured off the mountains for some respite and cover from the thick clouds and weather. 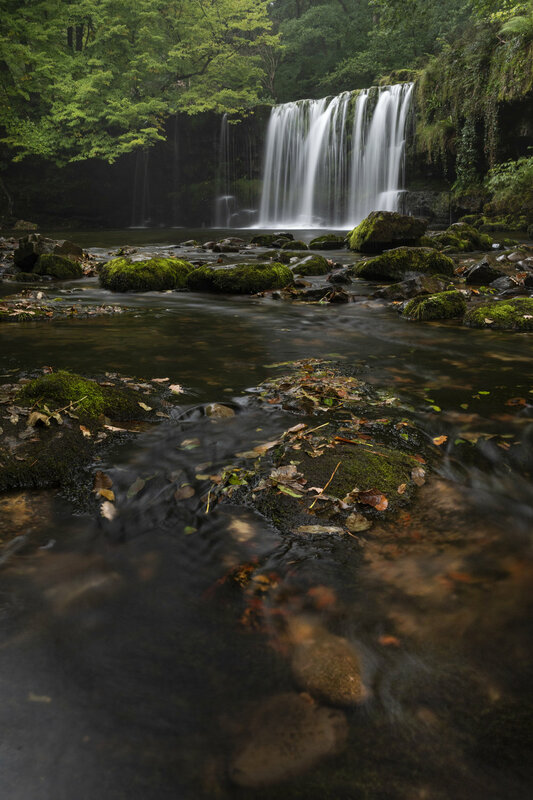 We ventured down in the valley's waterfall country in the Brecon Beacons. With ourselves and most of our kit soaked, we were passed caring about getting wet so what better way to continue the theme by standing in a river to take photos of the waterfalls surrounded by the Autumn backdrop. We spent most of the day in the valley and darting between one waterfall to the next and spending some time at each. Much of the time was spent cleaning the front of the lens and filters from rain drops.